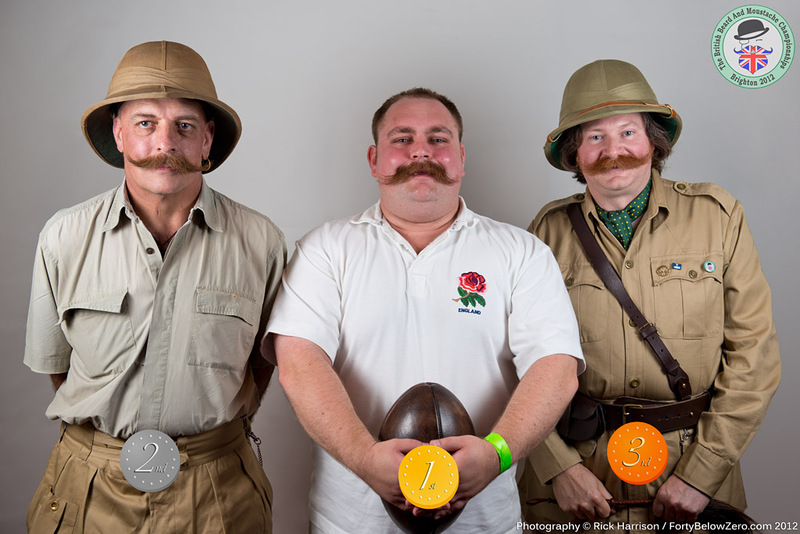 MOvember Moments with the Handlebar Club are here again, and hot off the press is this Radio Sussex interview below. 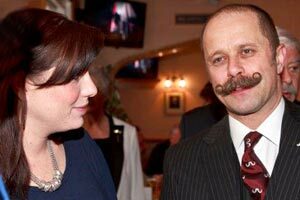 Tom Cutler talked to breakfast show host Neil Pringle about growing moustaches and what young ladies do to him in railway stations. Congratulations to Keri and Steve Parsons! 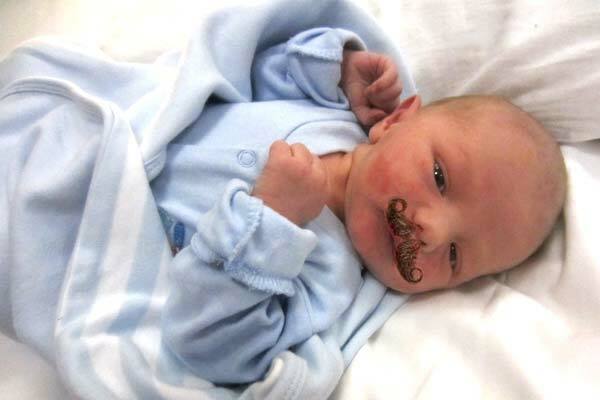 Keri and Steve Parsons have announced the birth of their perfect baby boy Leo Parsons on 7th June weighing in at 6lb 10oz, in an ‘easy’ 90 minute birth. 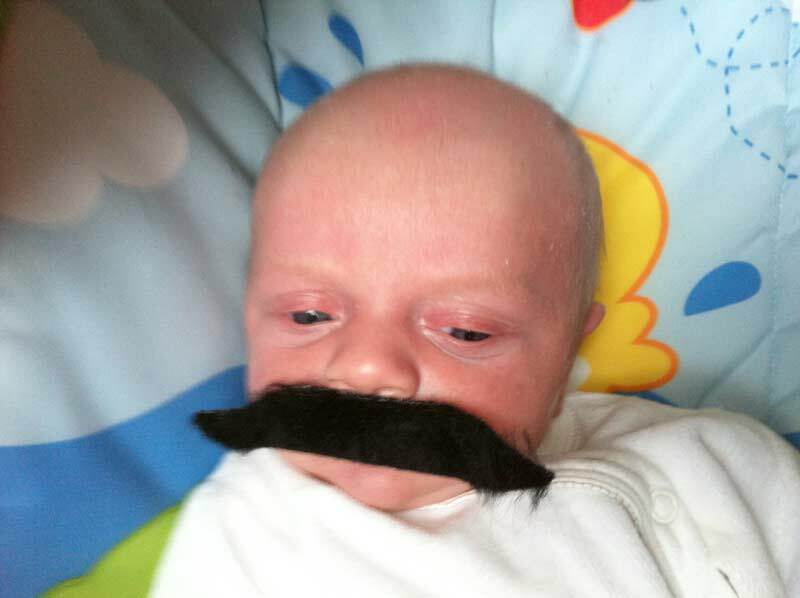 It is said that Leo was born blessed with an identical handlebar moustache to his father - can it be true? 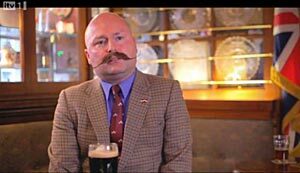 Is this really a moustache? 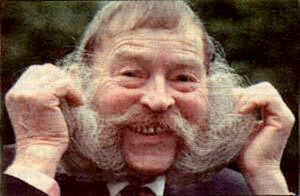 Those good people at Guinness World Records seem to think this jovial gentleman has the world's longest moustache. 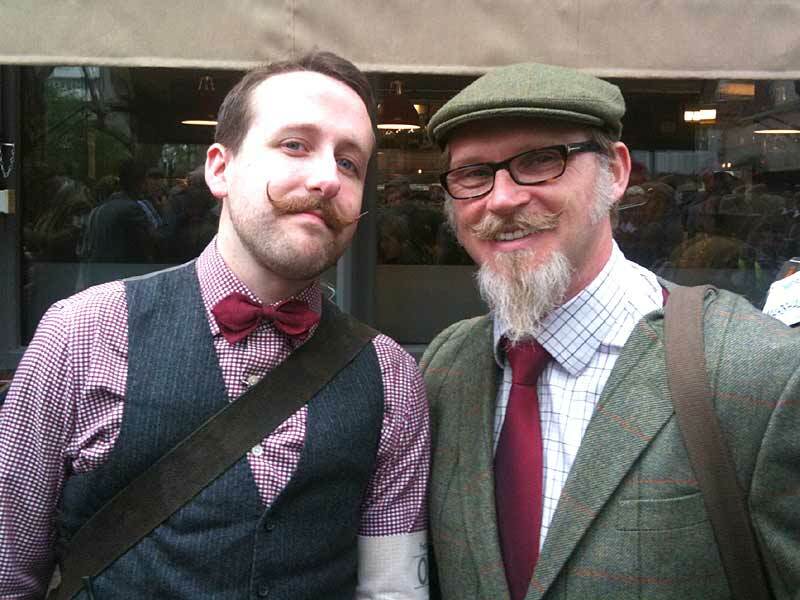 At Graspable Extremities editorial office we think it's a beard! What do YOU think? Now tell the BBC News Magazine at the foot of their article. 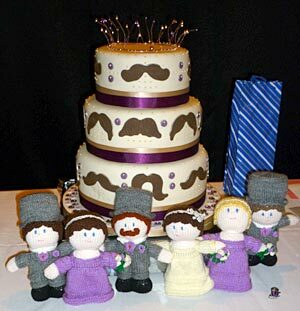 Why do they love their Moustaches? 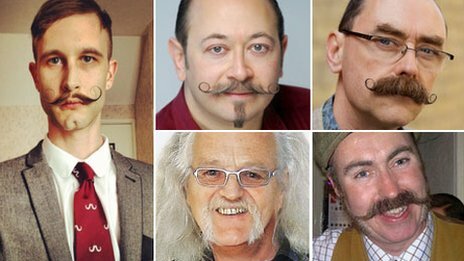 The above item in BBC News Magazine has prompted readers - some of whom you'll surely recognise - to post pictures of their own glorious hirsute appendages of the upper lip with Graspable Extremities. Read the new article in BBC News Magazine. 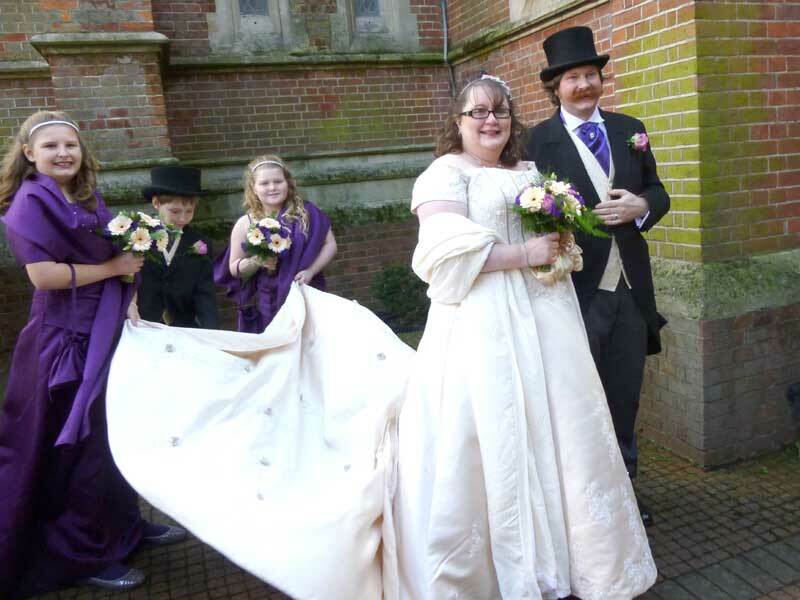 “My wife Jane gave birth on Tuesday 28th Feb at about 11pm-ish, after a sudden, unplanned and impromptu home birth, to a baby boy, 6lb 2oz, who we've named Frederick (he was 6 days early)”. Eliza is their first child who attended the AGM in York last year aged about 1. 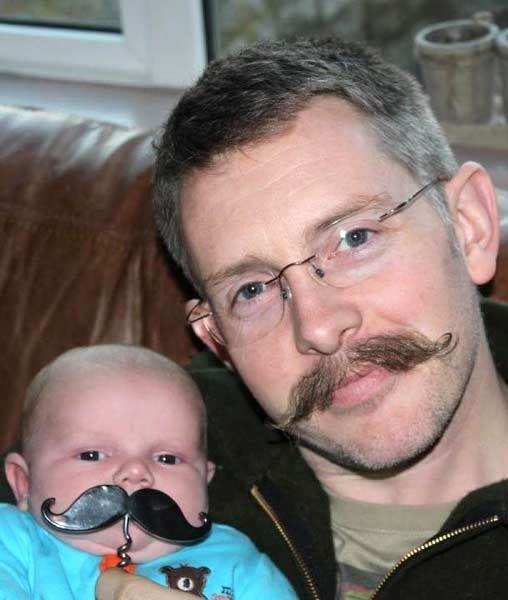 Handlebar Club member Mick and his partner Vikki also delighted Club members, friends and wives at the AGM with their bouncing bundle of joy, young Jackson. 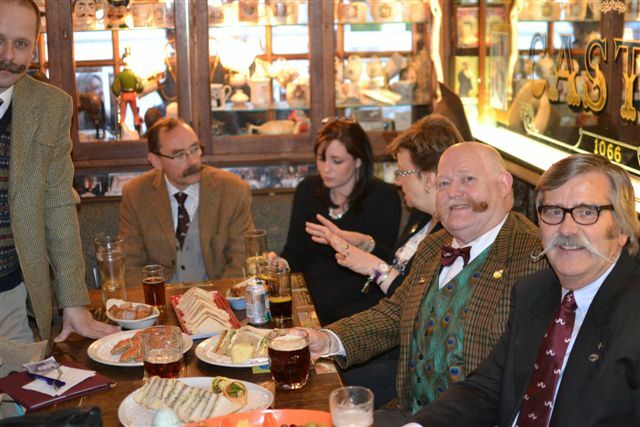 We wonder if Jackson and Fred (above) will be meeting on a First Friday in the Windsor Castle Astro-Pub in 20 years time? We are sad to announce the death of one of our �elder statesmen�, Alf Jarrald, on Tuesday 2nd May in Manchester. He was in his nineties. 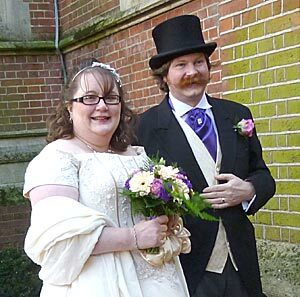 Jane, his daughter, said that the club meant so much to him and he was so proud of his tie. Our condolences go out to his children and grandchildren. Those of us who knew him and have missed him over the last years, will continue to do so- a really great character. 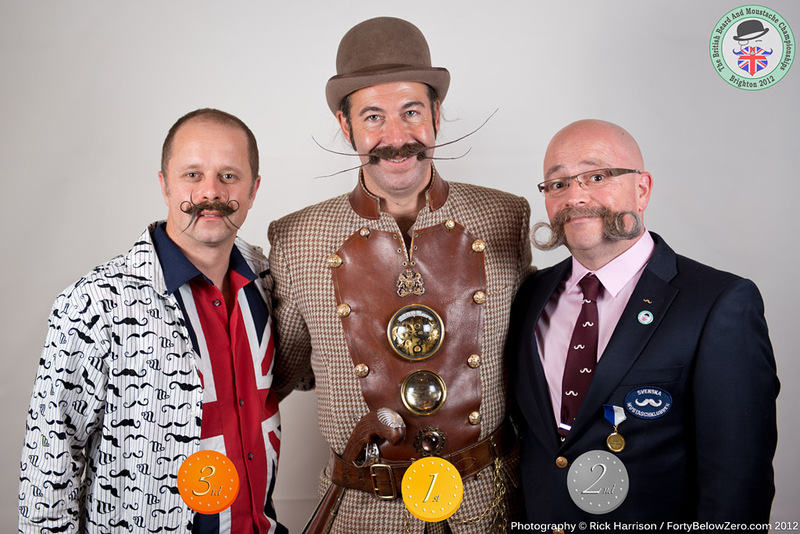 Britain's best Handlebar Moustaches and Full Beards were the most hostly contested styles and all the contestants in all the categories put on a really great show. 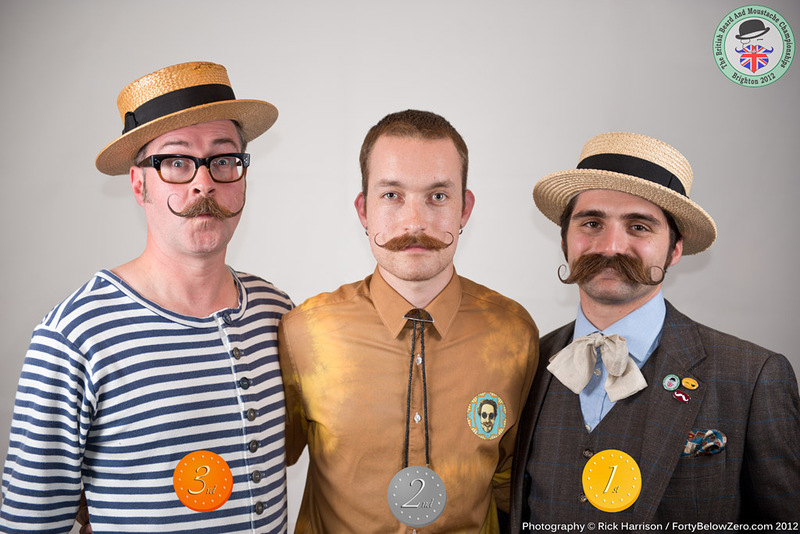 Members competing from the Handlebar Club brought home ten trophies, including three 3rd prizes, four 2nd prizes and we have two new 1st prize British Champions; Jonathan Van Halbert in English Moustache, and Michael Bates in Sideburns/Muttonchops. Most honourable mentions are also due for 2nd prize winners Ron Polton, Robbie Humphries, Dan Sederowsky and Guy Heathcote, and notable 3rd prizes to Paul Lewis, Ben Wykes, Barry 'Fingers' Copson and Steve Parsons. Visit the BBMC Web site soon for full Championships results and hundreds of photos and videos on the BBMC Facebook, Flickr, Youtube and Twitter pages. Barry is lent a helping hand. 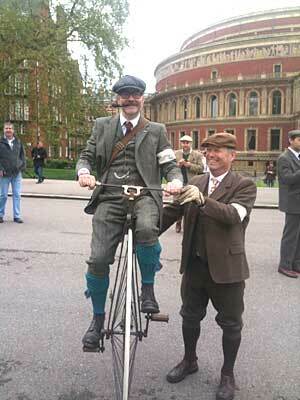 “For those of you not familiar with it, it's a 12 mile cycle around central London with one added twist. 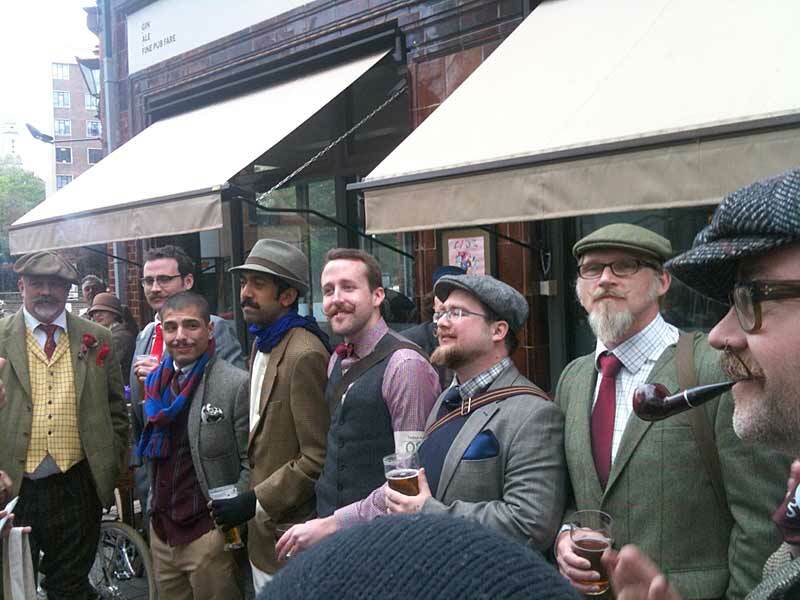 All participants must be dressed of course in tweed. Starting with a photo shoot for the 500 cyclists at the Royal Albert Hall, we set off at 11am from South Kensington through Hyde Park and on to Piccadilly. We then took in Buckingham Palace, Westminster Abbey, The Houses of Parliament and then had tea and cakes at the Imperial War Museum. “A few more photos and then through Smithfield's, St Pauls and to finish at a pub in Islington, to take part in a few very important competitions. 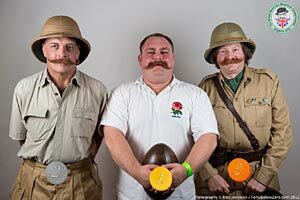 Best dressed Chap, Best dressed Lady and of course the Best Moustache to be judged by Murdocks the barbers. 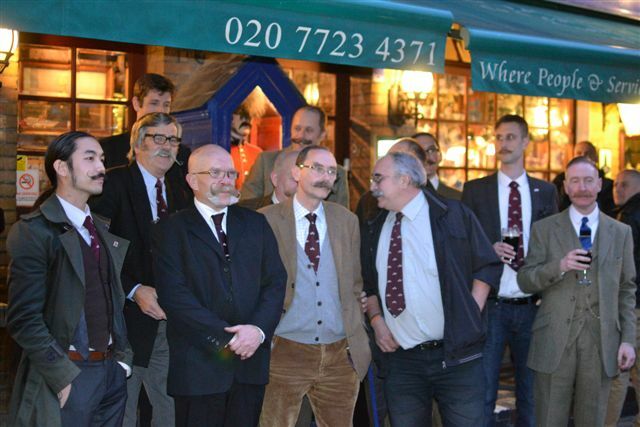 “There was a splendid selection of whiskers, some with beards and three of us wearing the Club tie. One fellow, a friend of the club, with his beard. [Eh? Ed.] Unfortunately I don't know his name, as I say we had started drinking by then. 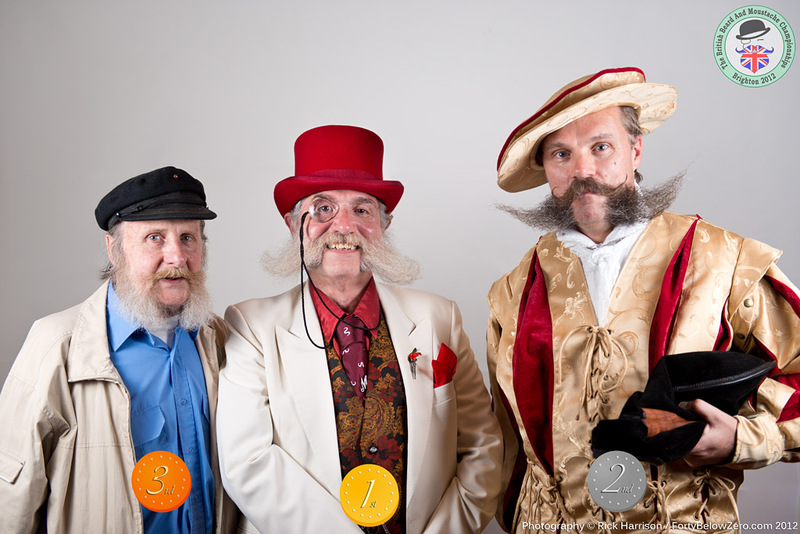 Are YOU the owner of some of the fine facial hair shown in these photos? 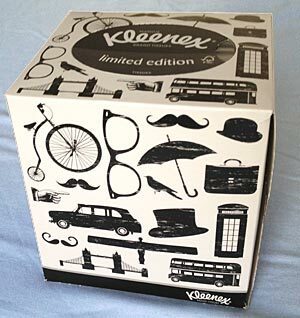 Tell us which is yours and we'll add your name. 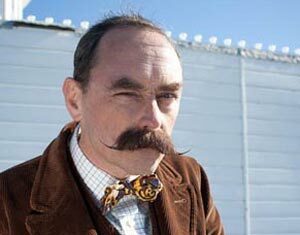 Do you Sarah, take this Handlebar? Grasp a slice of this! 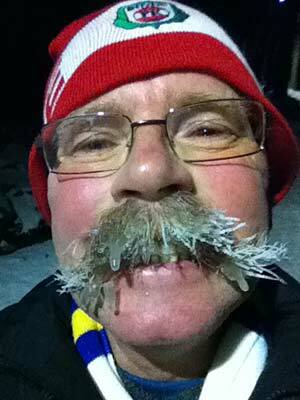 Send us another picture taken after the shower, Håkon, so that we know your Handlebar is safe! Barry Copson as never seen before! This might not be your usual Christmas if Selfridges have anything to do with it. 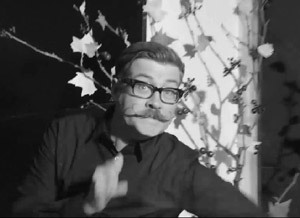 Their Christmas video by Bruce Weber features not only the one and only Barry 'Fingers' Copson, BBMC Prizewinner but also one of our other BBMC Prizewinner brothers from The British Beard Club. Can you name him? Click the logo above to watch the trailer! 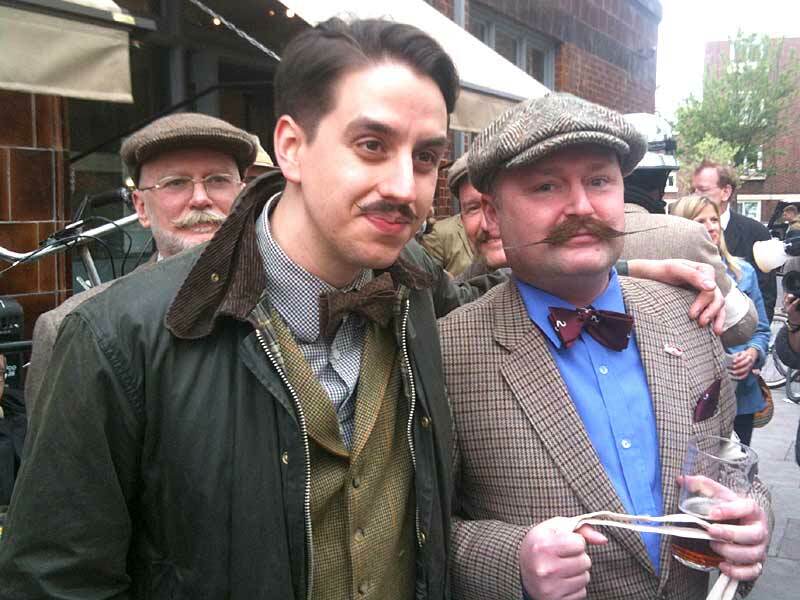 The Handlebar Club, in conjunction with our good friends of The British Beard Club, are proud to announce our first ever outing to the Great British Beer Festival (GBBF) this summer, taking place at Kensington Olympia, London. Featuring over 800 British and foreign beers, as well as food, music and beer-related paraphernalia, the festival is a well-established and extremely popular event. Entrance for Members and Guests will be £8 each (or £6 for CAMRA members � but let us know your membership number) and it will be open until 10:30pm. 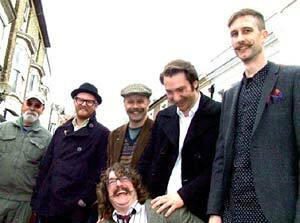 The British Beard Club suggest we meet early evening. If you�re interested - and why wouldn�t you be? - then please email us by 22nd July. 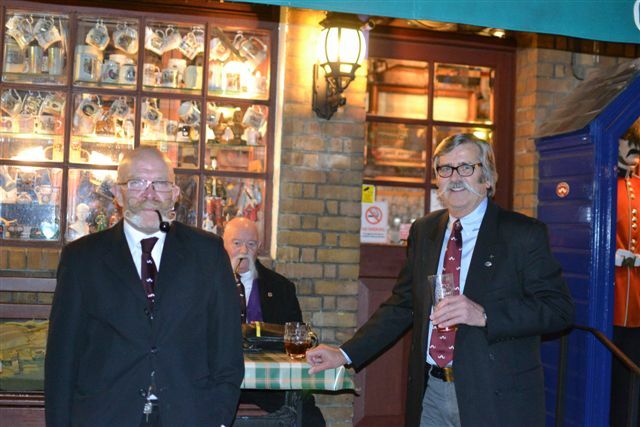 Handlebar Club member Gary Schnell was so moved by his first trip to a First Friday at club HQ, the Windsor Castle pub, that he put quill to parchment and sent us this poem inspired by his visit. Gary came all the way from Oakes, North Dakota (around 4000 miles or so) with his wife Vicki and son Doug - now that's commitment ! 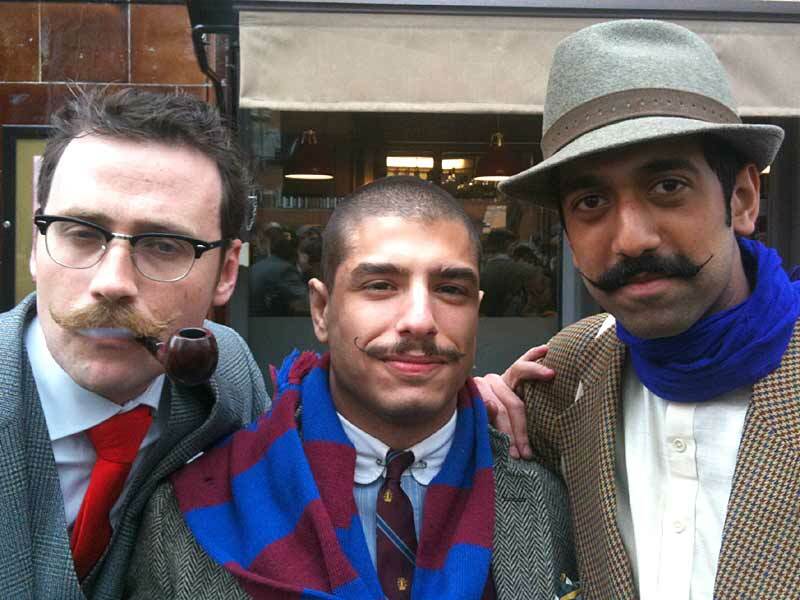 So let�s hoist a few to our moustache�s health forever. 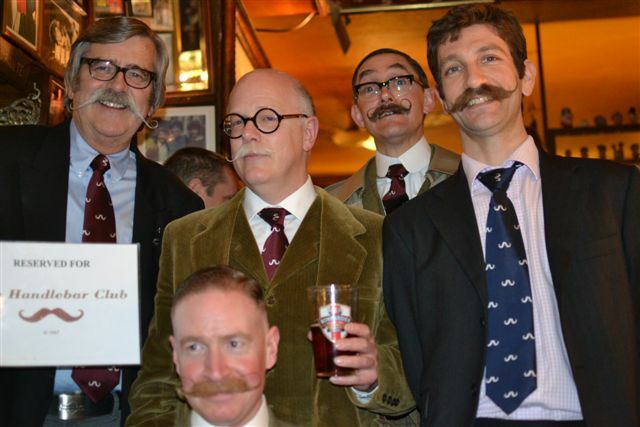 Last year�s Handlebar Club AGM was on April Fool�s Day, this year�s was on Friday 13th but nothing unlucky happened and a wonderful time was had by all. This was another mammoth-attendance year, with some 60 members, friends, wives, partners, sons and daughters all turning up. So many was it that people had been distributed between two hotels, one of which had an annexe over the road, accessible either by key or easily forgettable number combination. We were at Yelf�s hotel and after booking into our room at the top of a flight of narrow stairs I made my way down to the bar for a curtain raiser before the AGM. 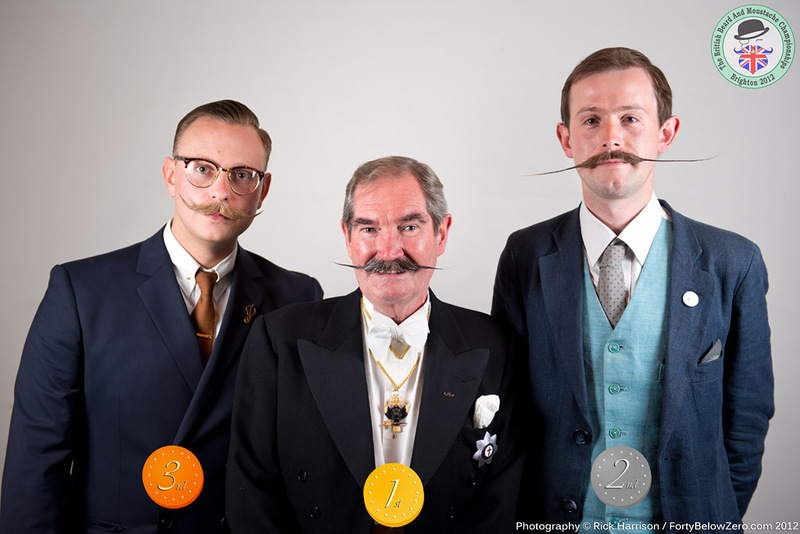 The Handlebar Club were proudly represented on primetime television programme Britain�s Got Talent recently, when member Conrad Amis featured among a montage of some of Britain�s more colourful constituents. 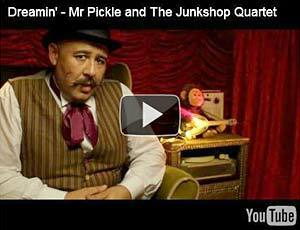 Filmed at Handlebar headquarters the Windsor Castle pub in London, the intrepid chap was grilled with all sorts of questions about Britain, talent and whether Britain�s got talent, until our man began to realise a theme was developing. The episode was shown on Saturday 14th April, rather inconsiderately in the middle of our AGM dinner on “The Island”. 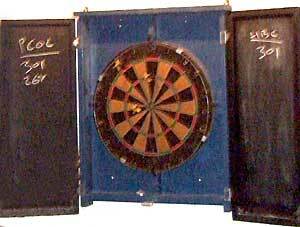 Alan "Rocky" Rockliffe, member of both The Handlebar Club and of the Pipe Club of London has arranged the Annual Charity Darts Match this year back at Thatcher's Arms, Warley Street, Great Warley, Brentwood, Essex, on Saturday morning of 18th August 2012. The throwing starts around 11:30 - 12.00pm, and as usual there will be a raffle in aid of CDLF, Children's Liver Disease Foundation. 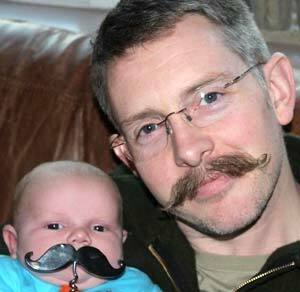 Remember Movember 2011? 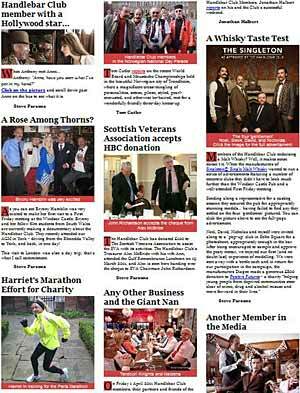 What happened about Harriet's Marathon bid? What about the 13-year-old member? Where in the world were Jonathan, Andy and Tom? 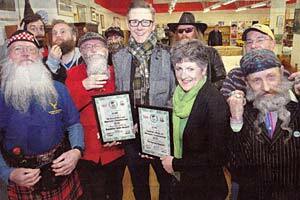 Read all about what we did in 2011 here.